Liverpool shrugged off recent talk of bottling the title race with a cosy win at Anfield today. Once backed into just [1.33] to be crowned champions at season's end, Jurgen Klopp's side were usurped from title favouritism by Manchester City after suffering consecutive draws against Leicester and West Ham. Happily for the Liverpool faithful, Bournemouth were in town today and they brought with them one of the Premier League's worst away records (nine defeats from 12 road trips). And it wasn't long before the home side were into the lead thanks to a Sadio Mane effort on 24 minutes, that lead was doubled 10 minutes later thanks to a delightful Georginio Wijnaldum goal and then Mo Salah put the game out of sight just three minutes after the restart. Liverpool, who go three points clear of City thanks to the win, have been backed in to [2.2] to win the league following the victory. City face Chelsea tomorrow in a huge 4pm kick-off. You can read the views of Michael Cox and Alan Thompson here. The day started at Craven Cottage where Manchester United's incredible form under Ole Gunnar Solskjaer continued with an easy win to climb into the top four. A double for Paul Pogba and a nicely executed Anthony Martial run and finish secured the win against a poor Fulham side. 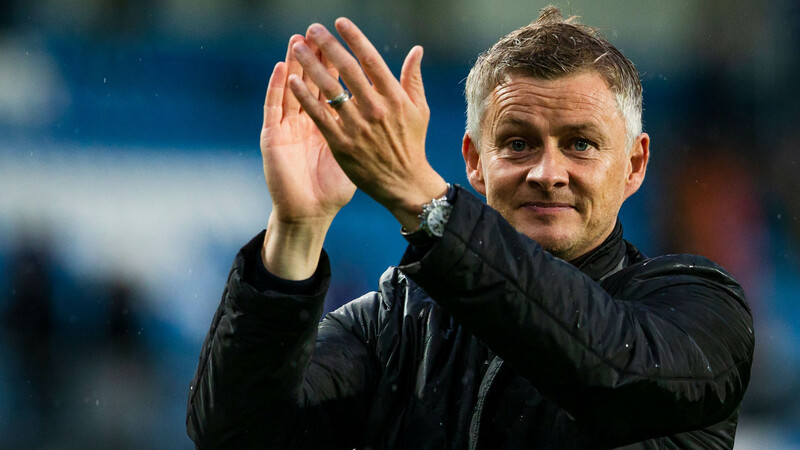 The win is the latest in a remarkable resurrection of the 13-time Premier League champions stewarded by club legend Solskjaer who is now just 1/4 on the Betfair Sportsbook to be given the job on a permanent basis. United are firmly in the top four hunt, too. Once backed at [14.0] they are just [2.3] to occupy a Champions League spot at the end of the season. While neither City or Liverpool can be backed in the market, Spurs are [1.19], Chelsea [1.8] and Arsenal [3.9]. At the other end of the table, Cardiff increased the misery for Fulham by pulling off a remarkable win at Southampton. Having sneaked into a lead, it looked like Cardiff's chance had gone when Jack Stephens equalised in the 91st minute but Kenneth Zohore scored a winner at the death to launch the Bluebirds out of the drop zone. Cardiff were backed at [25.0] in-play on the Betfair Exchange. The relegation betting took a big shakeup following the result with 15th-placed Cardiff out to [1.91]. The only team shorter than [1.17] Fulham is the doomed Huddersfield – beaten 2-1 by Arsenal today – at [1.01]. Burnley, who play Brighton in Saturday's late kick-off, drop in the bottom three thanks to Cardiff's win and Sean Dyche's men are [2.94] to go down, with 17th-placed Southampton [6.4] and 16th-placed Newcastle [8.0]. Crystal Palace, who drew 1-1 with West Ham today, are [20.0]. Brighton are [13.0]. Marco Silva is 6/4 to be the next Premier League manager sacked after Everton lost again. Returning to former club Watford, Silva was unable to get his team back to winning ways, losing to an Andre Gray goal.